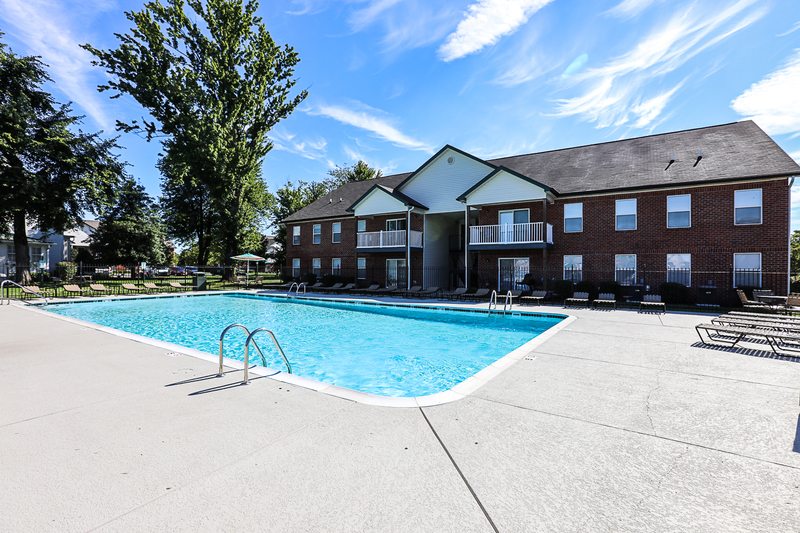 Clearwater Farm Apartment Homes is a Class A apartment community located in Louisville, Kentucky. Clearwater Farm was constructed in 2007 & 2008 and is comprised of 472 units in 34 two-story buildings. In addition, the property contains a resident clubhouse, two swimming pools, courtyard, and on-site laundry center. All of the buildings are situated on 34.26 acres and a combined gross building area of 507,142 square feet. The clubhouse / office building consists of approximately 4,826 square feet of gross building area and was originally constructed in 1823 as a single-family residence, and was significantly renovated in 2008 to support the current office / clubhouse use. The pool house/laundry facility consists of 944 square feet of gross building area, and was constructed originally in 1940, and was significantly renovated and expanded in 2007. Each unit on the property contains a patio or deck and has an exterior entrance. The property has an attractive unit mix of 168 1bd/1ba units, 136 2bd/1ba units, 136 2bd/2ba units, and 32 3bd/3ba units, totaling 472 units. Most units contain washer/dryer hookups, private patios/balconies, ceiling fans, oversized closets, microwaves, dishwashers, electric stoves, and refrigerators. Clearwater Farm Apartment Homes is located next to the GE Appliance Park, one of the strongest economic drivers in Louisville. Clearwater was constructed in 2008 to meet the growing housing needs of the 4,000 worker facility. Since that time, GE has increased employment to over 6,000 employees and has invested $800 million in upgrades. Located just 2.5 miles from the University of Louisville and only 1.5 miles from the Jefferson Mall, Clearwater is strategically placed near retail, educational and employment centers.